Experimental theater company 600 Highwaymen brings its exciting interactive play back to La MaMa for a two-week run. We are all seated, staring at one another, when an older man stands up and asks if anyone will help him. There’s a long pause; we’re not quite sure how to respond to this question as an audience just yet. He asks again, more urgently and directly to a younger man sitting nearby. The younger man stands up and now they both walk out to the center of the crowd. Again, the older man asks for someone else to help. Recognizing that it’s less of a request than a demand, a woman stands and walks over. He asks for one more person, and this time I feel sufficiently motivated to join them. The older man holds his right hand out and I take it; he puts his left hand out and the younger man takes that. He directs the woman to stand behind him. We wait in this moment for a few seconds. “Now,” the old man says, “catch me.” He crumples forward, writhing out of our grip and onto the ground. We slow his fall as best as we can, but he is uncatchable and lands on the floor face-front in a heap. “Roll me over, please?” he asks. We do. “Thank you,” he mumbles. “You can sit down now.” We retreat to our seats. These sort of unexpected, beautiful, and unabashedly human interactions are at the heart of The Fever, a deeply moving play by the New York–based theater company 600 Highwaymen that I first saw at its premiere more than two years ago as part of the Public Theater’s Under the Radar Festival. It’s a work that’s haunted me ever since: Theater that might only barely be called theater, that might be more accurately considered a willful act of group make-believe or magical realism made manifest. 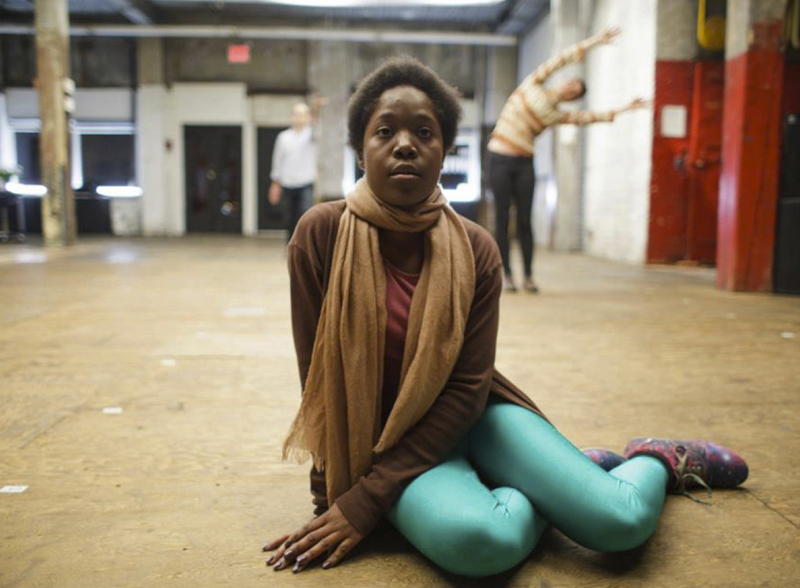 There’s a plot and a story somewhere in the midst of The Fever, but it’s the contact and humanity that the piece gently imposes on its audience that sticks with me and that makes the work’s two-week run at La MaMa a can’t-miss event. Find places to eat and drink around La MaMa before or after the show on our app. Upon arrival at the show, the audience finds a rectangle of seats, all facing toward each other. You will wait, perhaps a bit past the scheduled start time, wondering when the actors will take the stage when, imperceptibly, there’s a motion in the crowd. Someone has started the wave. We all join in. How could you not? The motion slows, then fades, then stops. Across the way, a woman stands and begins speaking. We come to realize that the audience is hidden in the crowd; we are among the actors. Over time, they pull us into their stage space, sometimes quite literally, and the sense of heightened reality this transgression spurs grows until, amid clever light and sound cues, we all find ourselves lost safely in a sea of friendly contact with strangers. It’s as close as you’re likely to come to dreaming with your eyes open while sober. This sort of bending of reality is par for the course for 600 Highwaymen; the company’s other works—notably Employee of the Year, which features a cast of five prepubescent girls and a story that’s hardly for children—similarly blur the line between audience and actor, real experience and script. If even the idea of audience interaction gives you hives, you might want to sit this one out, but if you’re looking for theater that provides a connection and exhilaration that a recorded story simply can’t, book your tickets now. Need inspiration for preshow dinner and postshow drinks? We personally love Blue Quarter and Hanoi House. For other recommendations, download the app!